A blueline is a proof made by a commercial printer and presented to a client for the purposes of checking the elements of a printing job that has been photographed, stripped up, and imaged. The negatives from which the plates for the press will be made are imaged onto thin blue light-sensitive paper. The text and images all appear in dark blue on the light blue paper, hence the proof's name. Bluelines are useful to confirm that the fonts have not defaulted to other less-desireable fonts, that the page numbers of a book or newsletter fall in the correct order and that the elements of a print project all seem to be positioned correctly. The paper that bluelines are made on can be imaged on both sides and then trimmed and folded to show that each page is backed up to the correct page, that all the pages fall in order and that each page is centered or otherwise positioned as intended by the client. A blueline also shows any scratches or defect in the negatives. When a client approves a blueline proof, the printing plates are then exposed from the same negatives that were used to make the blueline. They are imaged from the same film that the plates are made from. Changes or corrections are easier to make and less expensive at this stage of the proofing process. They show book pages in order and backed up. Bluelines show the final trim size and folds. Some commercial printers still use film to make plates and traditional bluelines, but many printers have moved to all-digital workflows. The term 'blueline' survives, although the new proof bearing this name is not blue. The digital blueline is made from the imposed electronic files that will be burned to the printing plates or sent directly to the press. 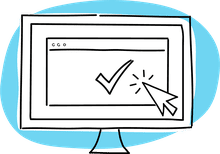 The quality of the proof is not print quality or color accurate, but— just like traditional bluelines — it is used to confirm element positions and pagination accuracy. The proof is usually printed on both sides of thin white paper, then trimmed and, if appropriate, stitched into book or newsletter form. 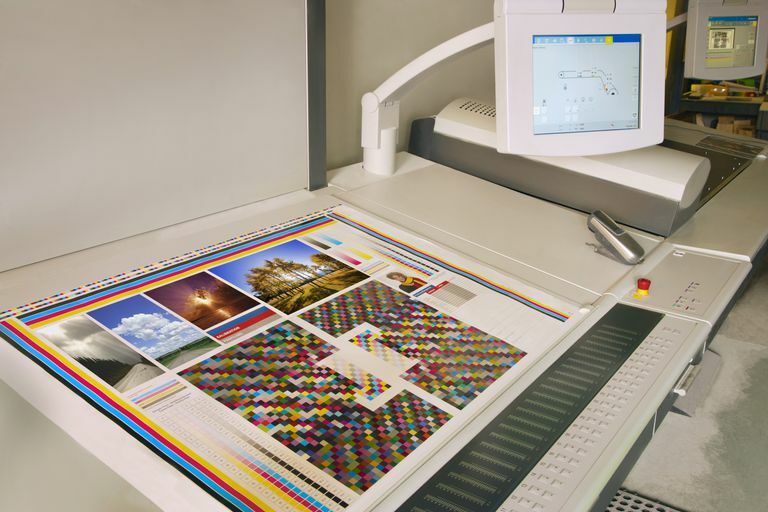 Commercial printing companies usually offer a full-color and color-accurate digital color proof. This type proof is used specifically to judge the quality of the images and the accuracy of the color. The paper is usually one-sided and thick, so this proof is not backed up folded down to size. If the client approves the color proof, the proof is given to the press technician, who matches the color on the press. This type proof if more expensive than a blueline. Press proofs are less common than they were in the past because digital color proofs do a good job showing the quality of the finished product. However, press proofs are still available. In this case, all the work that is done to print a job is completed up to a point. The press technician sets up the plates and inks before running a printed sheet on the paper specified for the job. This press proof is present to the client. The press technician waits while the client reviews the proof. If it is approved, the job is run. If the client makes a change, the job is pulled off the press and rescheduled for another day or time. This is a very expensive proofing option.